If you’re looking for the cream of the crop in carnival rides, this is it! 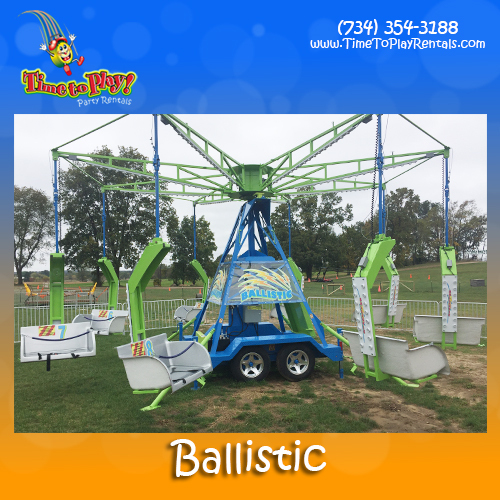 Our Ballistic is a fun-for-all-ages swing ride for true thrill-seekers! Seating two riders in each of its 8 bench-style seats, this ride easily entertains large groups and is sure to be a showstopper at your event. Add a few of our other carnival rides, large inflatables and interactives for a full-scale festival! We are always more than happy to assist you in selecting the best variety of rides for your event.